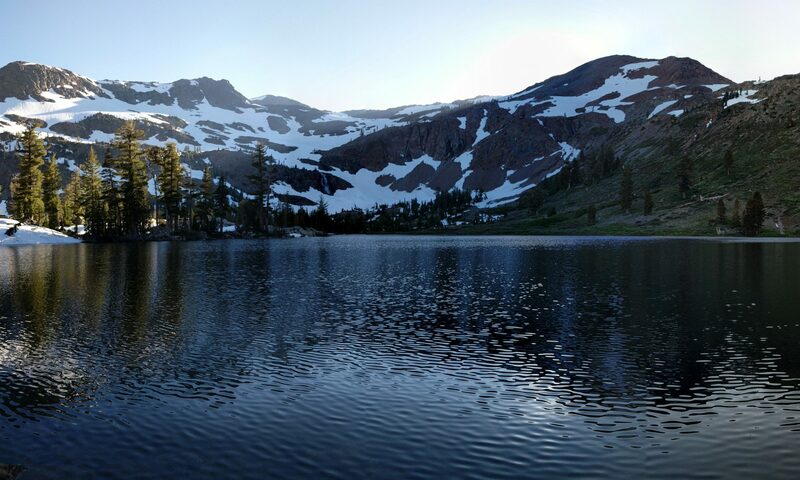 Loch Leven Lakes Trail is Located in the Tahoe National Forest just off Interstate 80 in Northern California. This trail is rated to be hard due to its steep climb to the top, the granite river bed, and slippery conditions depending on the time of year. The late spring to early fall is the best time to hike and during the winter the snow makes it almost impossible. Even though this trail is not the best place for beginner backpackers, day hikes are very common here. It’s about a seven-mile hike round trip to the farthest lake with a 1633 foot elevation gain. Once you reach the top of the strenuous hike, you come to an amazing view of the first lake that makes the long trek worthwhile. The trail takes you alongside the bank of the first lake giving you a beautiful view as you continue to hike to the second lake. You will find designated campsites that many backpackers have made. The campsites are large enough to accommodate tents and plenty of trees to hang a hammock up. Campfires are allowed but only with a permit that you can get for free. Depending on how you feel, you can choose to venture to the third lake where there are more campsites located. It’s about another quarter-mile from the second lake, but it’s worth the hike. By accident, on our trip, we stumbled on a Geo cash site at the third lake. Amazed by what we found we now make it a point every year to write something in the journal provided. Each lake has something special about it and it’s worth the time to see all three. Although the trail and lakes can have some heavy traffic during the day, at night all you can hear is the peaceful sound of nature. When the sun goes down, millions of stars appear lighting up the night sky making it a breathtaking sight. Though it is a short hike and not too far from the freeway, this is my favorite place to come every year. For those interested in a day hike or wanting to get away for a night or two, this is the place I always suggest to my friends and family. Next PostNext Is stoveless the new trend?